Sports had little appeal for Martha Ann Fuller. Although her beautiful mother had been an excellent ice-skater in her teens, Marty--plump, awkward, and self-conscious--never had any inclination to follow in her mother's footsteps. When Mrs. Fuller's job takes her to California, Marty is thrust into a new world. Moving to her grandmother's old stucco house in Ringport, Massachusetts, demands serious adjustments. Well-meaning grandmother is convinced that Marty can be transformed from a lonely, withdrawn girl into a social butterfly. And one way to accomplish this is for Marty to become a champion figure-skater! Poor Marty resists in vain. The figure staking lessons she takes with Josef, a famous professional at the nearby Skating Club, are drudgery, and for a long time the rink is unbearable to Marty. Besides, she has other pressing problems to solve. At the private girls' school she had attended, she never had to think about how to act with boys and they are a real puzzle to her. Now that she has had to transfer to Ringport High, she is really on unfamiliar "ice." Because she is so shy, her first real date is almost a catastrophe. The girls, too, are different, and Marty's unintentional blunders create friction with the prettiest and most popular girl in school, Taffy Wilson. Yet, when Mrs. Fuller visits Ringport at Thanksgiving, she is impressed and pleased at the change in her daughter. With a glow in her cheeks and several pounds slimmed off from exercise, Marty appears more attractive and outgoing. Too, she is winning some friends, one of whom, a United States champion, kindles some enthusiasm in Marty for skating. 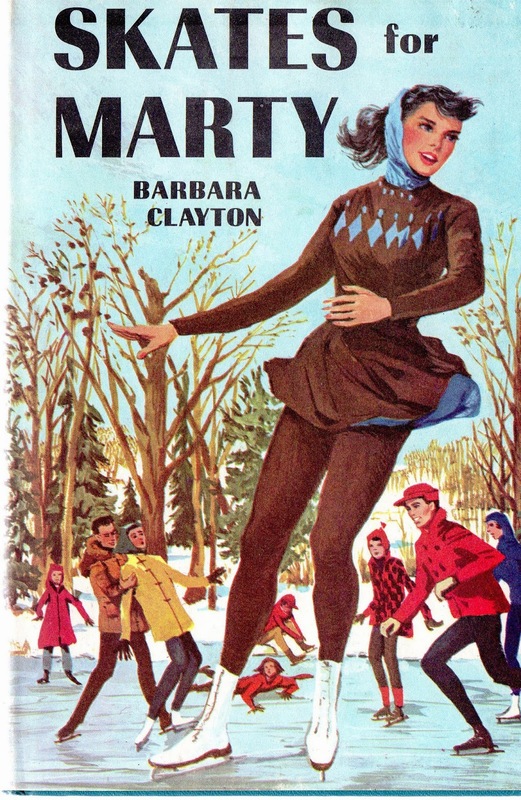 But it is not until the Skating Club is host for the National Championships that Marty sees the fascination of figure-skating. She is captivated by the experts who have come from different parts of the country, and she begins in earnest to try to overcome her shyness and to develop as a skater.